trying to find final version of weapons, above you mention shotgun found in level 3. been all over level 3 don’t see it. is the list above for ios version or goid for android too? Well I know this is overdue and I’m pretty late but I’ve been on these levels so much and can’t find them. Yeah, me too but I bought both the IAPs, advertisements still appear AND I didn’t get the sniper. I found the final form, strangely enough. Hi, been addicted to this game, I had finished the game and playing new game +. Thanks so much for playing! The mods should be working, but the one step that’s missing is you just have to go to the mod screen in the pause menu, and actually tap the mod icon next to the weapon you want to equip. This will then make the mod “active” and you should see the visual result of it when playing. We definitely didn’t explain that well enough in the game, so my apologies for that! What is “Bônus 3” ? Twice I did survival mode, got final balde gun but was gone when went back to find missing records. Please advise? Has issue been fixed? Don’t want to try again if loss final blade level again. I love this game but i have only been able to find 2 of the final weapon forms. How i do collect the diary piece at level 90? I can’t enter that place. Is there a solution?. I already get to bonus 3, but i enter glitched and no way to continue. I resetted the game and diary pieces are gone, damn i need to get all again. Now that diary piece is the problem how do i get that?. Why don’t you move that piece to a cally’s section in a update? That is the solution, or add a breakablr wall to access the piece?. Or a option to enter AGAIN to bonus levels. I already get to bonus 3 but glitched is there no other way to reenter it besides collecting again the pieces. Hi, I accidentally went out from Bonus 3 level without picking up the RPG final form…. is there any way to access that level again? Thanks for the reply, but the problems is that the diary pieces are not showing anymore. Also in the stats the “Dieries collected” is 18/16. There is any way I could fix it? Are you playing on steam or a mobile platform? go down until you find the variables “bonusreceived” and “bonusvisited” and set them all to 0.0000, save the .ini file and exit and restart the game. Thank you! It didn’t work, but I modified the “diary##found” lines to 0 and I can collect them again, hopefully it will bring me back to the bonus level! Why not 74 or 87? Pls sure numbers or videó on your youtube channel. The plus means New Game Plus, so they would be on levels 71 and 85 in New Game Plus. How do I unlock new game plus and survival? I have to buy it? And I got 3 or 4 finals forms and I can’t use them, how do I use them? I didn’t beat the game yet, because I was going to bet it with everything. Bow do I level up them to 19? Just playing? Or I have to beat the game first? And 107+. Can you help me? I’ve found the final form of the slime gun and bow but I haven’t bought the game (yet) will I have to buy the game before I can level them up? I don’t think so for those ones! Hi! First off, I love the game and I’m super excited for the next one, secondly, what do I have to collect to get the assault rifle final form? And lastly, when the next game comes out for Android, will there be a way to buy something to get rid of the adds? Aww, sorry to hear about the piracy, but I’m still excited for the next game!!! And thank you for getting back so quickly, it’s great to see that from game devs. Umm I’ve been trying to find the bow in the game but I can’t seem to find it. Can you help me? Yep! it is in melvin’s zone! 1st: Wondering if issue was fixed when getting final form of Bladegun after beating survival mode? Does final form stay in inventory when returning to regular or + modes? 2nd: Had to get new phone so had to restart game from beginning and thought people might like list in order of levels, I find it easier to go through game and collect things. 3rd: Love this game and hoping there will be a CC4! 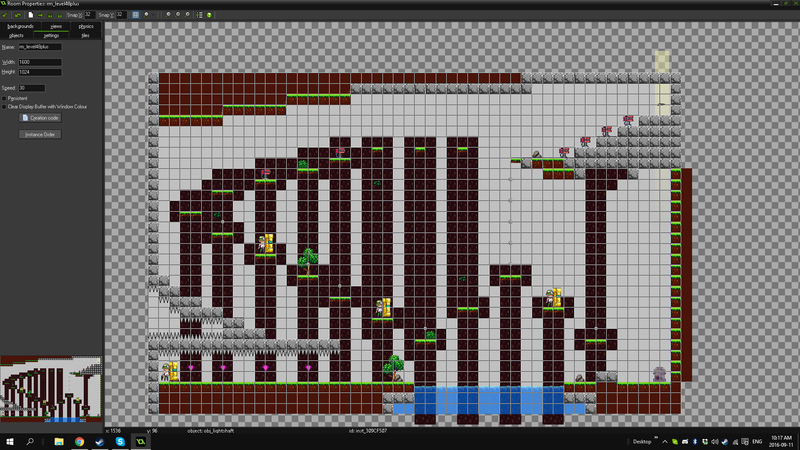 Thanks for the hard work you all did to bring Cally’s Caves to mobile devices!!! wow thank you so much for doing this list! FYI, you have 17 diary locations but game only indicates 16. I had to get new phone so started over and have new list that included abilities and powers. I’ll sent complete list once I finish game again. Missed few things last time around so my list is more detailed so easier for me to check things off. There will definitely be a CC4, in fact we are working our butts off on it right now and it is getting close to ready… will be out in 2017 for sure! Thanks for getting back to me so soon and glad you liked list. HAPPY NEW YEAR to all of you! Hello! Im super egsited for CC4, so… is it comeing out 2017 final 3rd or the 1st half of 2018? (im trying to hold myself off from spaming OMG OMG OMG.). thank you for your support! The game should be out for iOS in october or november, but its too early to say for sure. We are about 90% done the game now, but its just that theres still a lot of work to do before the finish! the steam version will be january! oh thanks for leting me know! cool and also one more thing is it possible you can make bosses more difficult I mean yea they are pretty easy if you ask me besides the balding eagle Herbert and shelly the hive queen and also I think you might wanna lower the amount of stuff you get in Melvin zone xD its amazing for getting gold mainly gems my max iv ever got with Melvin was like 4M gold xDDD besides iv got enough gold to last a life time so no prob if u decrease the amount but if you don’t I’m not complaininalso is there a release date for cally’s caves 3?????????? and 1 more thing I saw a frame issue I don’t know if its ment to be theyre but I saw Herbert when defeated you go through all the enemys the creadits basicly and at the last frame I see Herbert standing by the one and only hovership boss Ok bye ty for da reply! You are supposed to see Herbert there because it’s a clue he’s coming back for new game plus! They are all in the second half of melvin’s zone! I got 1st 3 records again at levels 9, 18 and 27 and 2 days ago stats said I had 3 of 20, today it says I have 2 of 20 and looked in all levels I mentioned and they are not there. Have Android phone, please advise. hmm i am looking into this glitch, my apologies for the issue. do you game on steam at all? I have Samsung Galaxy S5, play off line. Is there a way to play online? I’ve played game almost all the way through twice, this is my 3rd time. Because play off line game only saves to device so when have device issues and have to download again I start over. Love the game and want to finish it with 100% which makes it hard to do with the glitches I’ve mentioned in previous posts. I do want to thank you all for your continued support and can’t wait to finish game, hopefully once I get 100% CC4 will be available. Yes, 100% everything. I was reading other posts, is there a way to modify game file to reset records so I don’t have to start the game over? Two things. One, I think I found the glitch where you don’t get the final Bladegun, which would imply that I’m using the ios version of the game. (I’m playing on the original Kindle Fire.) Oh well, I guess I don’t use the bladegun that much. Two, you say that you need to purchase stuff to unlock the sniper rifle, but when I got the app, everything was already ‘purchased’, the purchase button was dark and wouldn’t let me click on it, and I didn’t have the rifle. I’ve scoured level 101 just in case, but I can’t find it. Recommendations? So there’s nothing I can do about this? I found 15/16 diaries. You’ve got a list on this page with 17 locations for the diaries, I’m not sure what that means. There are two locations I didn’t find a diary, stage 90 and 35+. At stage 90 there seems to be a secret area at the right side of the door to 91, but I’ve tried everything I could think of to get there, using spikes to climb up there. But it requires a roll to get through the small passage, and I can’t get it to work standing on a spike. Any suggestions? Is the missing diary in that location? Thanks! Thanks! I’ll check it out. It’s very kind of you to help me out like that. I can’t find the slime gun! I literally stumbled across this game, and all I have to say it it is absolutely amazing. I’m wasting my time away, but still I love it. I just had to questions. I was playing the Bera’s Quest, and the first few times I played the game every hit would damage the enemy by four. Now when I play, it damages the enemy by one. Is there something that you need to do to upgrade the bear? Sorry if it’s a stupid question but please let me know the answer. Thank you again for the game. Hey Tyvock! Thank you so much for checking out the game! Bera’s attack is tied to the melee power upgrades… that sounds like a bug and I will need to look into that. The code that brings it back to 1 was made to limit it in case something goes wrong and bera’s melee power is increased too high. Let me look into it and get this bug figured out! The thing is that I can’t even pick up the final flamethrower. For Cally’s Caves 3, I’m curious if my weapon level should go past 10. I’ve gotten to the same level as a friend whose weapons are 14 or 16, but mine capped out at 10. Am I missing something? I believe it’s after you beat the regular game and unlock new game plus, that uncaps the weapon level limits from the regular game! Anyway, I have beat the main game, the + game, Qwerty, and last night I completed the 3 rounds of Survival… but I did not get the final form of the Discgun (which has been at level 24 for days). Now what? hmm thats weird, it should show up at the end of survival! Oh my bad. I’m playing CC4, not 3! Haha. And I got it now! One of the Bonus rooms. I have collected all the diaries on new game +. Unfortunately, I missed the RPG upgrade in the bonus 3 stage. But apparently. Unlike the Records which are respawn in the world after you collected it all, the Diaries stays 16/16 and didn’t respawn. I think this is a glitch. Ah I’m sorry about that. Are you playing on pc? Yes, I’m playing with steam. Oh thank you very much it’s working. I changed “diary1found” to 0 while keeping the rest 1, then “featherscollected” to 15. After that, I only need to collect the 1st diary. Seems like I found the glitch, it was from “bonus3visited” = 3. After I changed it to 0, I can warp to the bonus room as well as the diaries collected reverted back to 0. Thank you for the time, dev. Hello Callys Caves Team do you guys have a all collectibles video? Unfortunately we don’t, we just have the level guides on the website. We should make one! Hi there! The numbers are correct but there is a small bug with the orbs (it’s happened to a lot of people). If you find the save file in “c:/users/your username/appdata/local/supercallysworld/“ you can edit the variables manually in the ini file. I think you’ve collected them all but the achievement isn’t triggering. Try looking for the line “ach_orbscollected” and set it to 0. It will then check the orbs again the next time you enter a level in the game and award the achievement. This is my fault so I’m very sorry for the inconvenience! Sorry I meant to list the cc3 file but I told you the cc4 file.